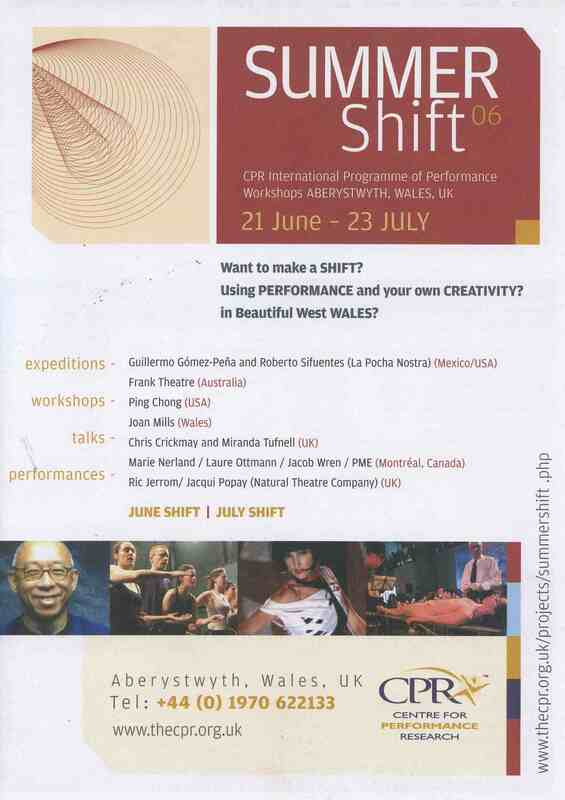 The Summer Shift programme is aimed at revitalising bodies and minds with an energizing blend of practical training and creative inspiration. (Mexico/USA), 21-24 June – Please note this workshop is currently full. perform their version of Shakespeare’s tragedy. which synthesize several of these elements in the final class. performance, through improvisations and exercises inspired by water. Film and Television Studies, University of Wales, Aberystwyth. the imagery that these encounters reveal. Miranda Tufnell is a dancer, Alexander teacher and Craniosacral Therapist. on a variety of teaching, writing and performing projects. public spaces and how ‘place’ can call a piece of theatre into being.